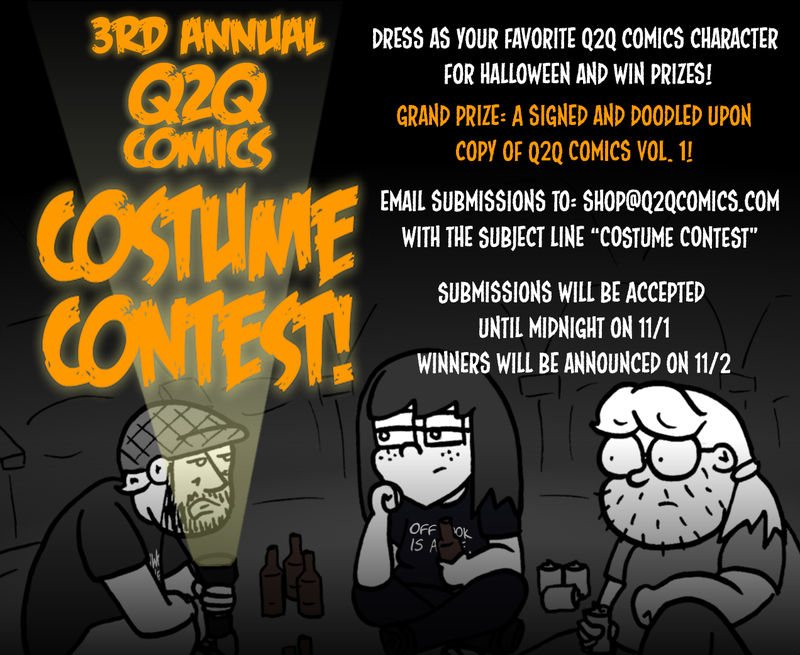 The 3rd Annual Q2Q Comics Costume Contest! It’s that time of year again! The 3rd Annual Q2Q Comics Costume Contest is going on! Dress up as your favorite Q2Q Comics character (get creative with it! ), take some snazzy photos and then send them to shop at q2qcomics dot com! Prizes will be given out to the top entries! This year’s top prize is a signed and doodled upon copy of Q2Q Comics Vol. 1! Submissions will be accepted until midnight on 11/1 and the winners will be announced on 11/2! ← Summerstock Sale in the Shop!